Tokyo, Japan – Sony Corporation (Sony) today announced that as of January 2019, it will commence licensing of Triporous, a plant-based porous carbon material. In 1991, Sony became the first company in the world to commercialize a rechargeable lithium ion battery, and has since continued advancing its R&D efforts in further pursuit of improved performance. Over the course of these efforts, Sony invented the carbon material Triporous. Sony discovered that Triporous exhibits a greater and faster rate of absorption of various substances than existing activated carbons, and has obtained an end-to-end patent on this material from its manufacture to its implementation. 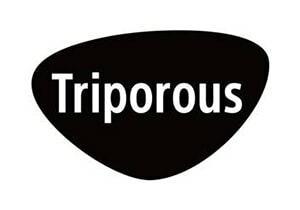 With potential applications for a wide range of diverse fields including cosmetics, pharmaceuticals, water and air quality enhancement, and even clothing and textile products, Triporous was given the "Encouragement Award for 21st Century Inventions" by the Japan Institute of Invention and Innovation at the 2014 National Commendation for Invention awards. Sony has since been investigating the possibility of commercializing and mass-producing this new material Triporous' technology so that it may benefit society. Now, having reached a milestone for its practical application, Sony will begin licensing Triporous so that it may be utilized by as many people as possible. Sony's exclusively developed Triporous is a unique finely structured porous carbonous material* made primarily of surplus biomass (organic resouces derived from renewable organisms) such as rice husks, including silica. In addition to the micro-pores (2nm or less) found in conventional activated carbons, it also contains mesopores (2-50nm) which are larger than micropores, as well as macropores (approx. 1μm), all of which exist in a multiplex. Due to this, it can easily absorb large substances at larger molecular weights that have been difficult to absorb with conventional technologies. This includes organic molecules such as humin and poisonous algae blooms that cause water pollution as well as allergens, viruses, and small proteins such as enzymes. In addition, it can quickly absorb low molecular weight compounds such as organochlorides and pesticides. Through these unique characteristics, Triporous provides new value for various products including environmental filters that remove pollutants from the air and water. This also includes toiletries such as deodorants, odor removers, and other antibacterials as well as cosmetics, pharmaceuticals, and clothing and textile products. Additionally, approx. 2 million tons of rice husks, which form the base ingredient of Triporous, are disposed of annually in Japan alone and over 100 million tons worldwide every year. By using a sustainable resource such as this disposable biomass in the making of Triporous, Sony also contributes to the realization of a recycling-oriented society that is considerate of the environment. As Sony begins to license out Triporous, it is looking for companies considering the use of Triporous in its own products and factories, companies looking to collaborate in the Triporous business, and research institutions interested in carrying out fundamental and/or applicational development on Triporous. Moving forward, Sony will use license to spur the creation of products and solutions across a range of fields that leverage Triporous' outstanding absorptive capabilities for water and air purification, odor prevention, odor removal, and more.